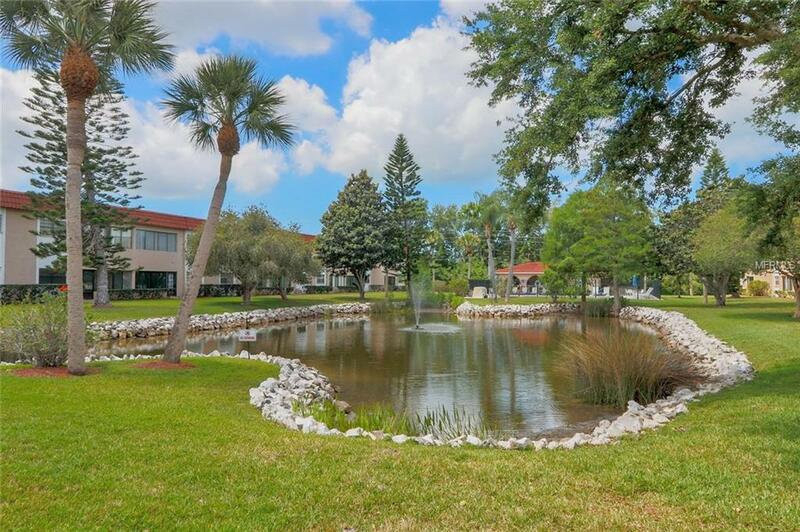 Designer-decorated, second floor 2 bedroom, 2 bathroom unit overlooking immaculately-groomed grounds. Ceramic tiled foyer leads to eat-in kitchen with etched-glass cabinet doors, Luma Dome mirrored ceiling, custom shade, and fan. Kitchen pass-through provides easy access to dining room when entertaining. 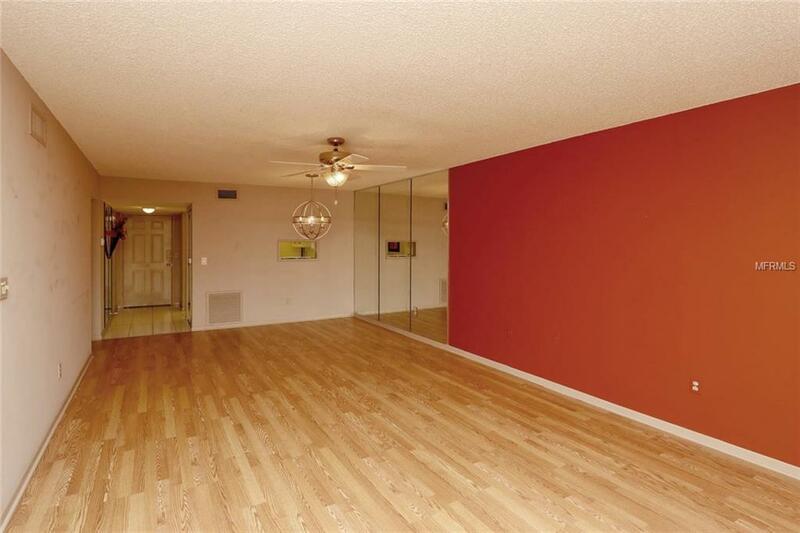 Large living/dining area has an accent mirrored wall, newer chandelier, two fans, and an impact-resistant window that meets code. Washer/dryer closet has mirrored doors. Large master bedroom has windows facing the wildlife-filled pond, a designer fan, a walk-in closet with mirrored doors, and an adjoining bathroom with shower. Second bathroom has tub. Large pantry with plenty of wire shelving is easily accessible. 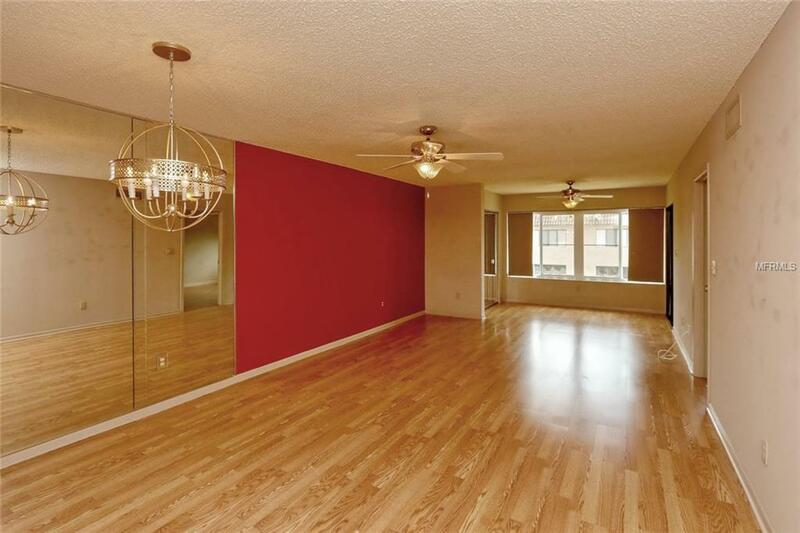 Wood laminate flooring and ceramic tile throughout the unit. Each unit has covered, assigned parking. Relax in newly marcited swimming pool with a large, abutting, landscaped area with a stone pond. 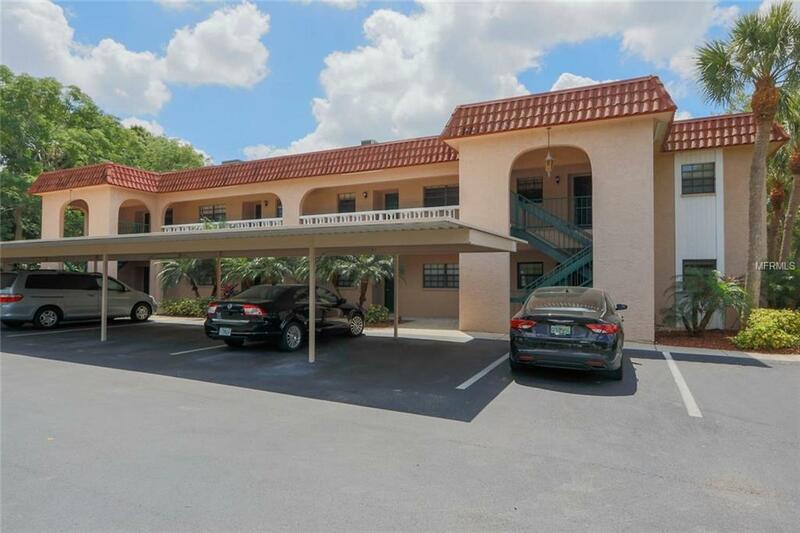 Bel-Forest Manor is a well-maintained complex that borders the Pinellas trail, and is a short drive to world-famous Gulf beaches. No age restrictions.